Established in 1966 as an offshoot of Newmont Mining Limited, Newcrest Mining acquired its current name just before the turn of the century. The company is Australia’s largest gold producer and one of the world’s top-10 gold mining companies by production, reserves and market capitalisation. 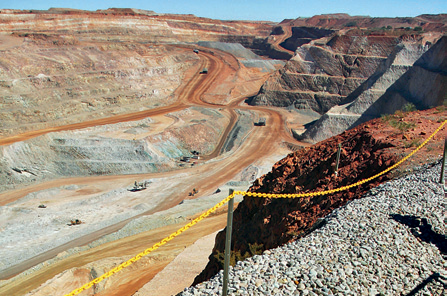 Its current activities include six operating mines across Australia and Indonesia. To extend its portfolio, projects are planned including Cadia East, Ridgeway Deeps, Gosowong Extension Project and Hidden Valley. Headquartered in Melbourne, Newcrest Mining ranks among the top-20 companies listed on the Australian Stock Exchange. It employs about 5,100 staff and long-term contractors.